ECIL Recruitment 2018: Walk-in-interview has been scheduled for the recruitment of interested and eligible candidates for the posts of Jr Technical Officer and Jr Consultant- Field Operation (Gr-II) posts. Candidates are advised to check the details on the official website of Electronics Corporation of India Limited, ECIL. 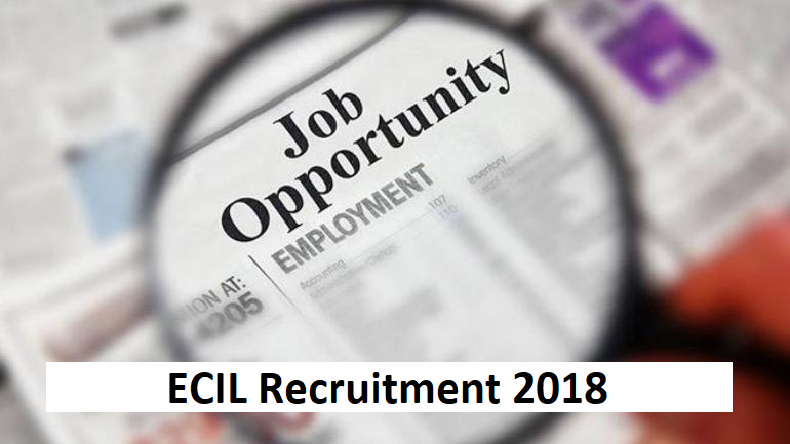 ECIL Recruitment 2018: The Electronics Corporation of India Limited, ECIL has released a notification inviting applications for the recruitment for the (Gr-II) posts of Jr Technical Officer and Jr Consultant- Field Operation from interested and eligible candidates. All those who wish to apply for the same can go through the detailed advertisement to learn about the recruitment process. According to reports, the candidates willing to participate are required to appear for the walk-in-interview organised by the recruiting authority. According to reports, the interview has been scheduled for the following dates i.e. on November 06, 08, 09 and 10, 2018 as per the city and post prescribed in the official notification. Meanwhile, candidates who are going to appear for the Jr. Technical Officer interview must note that for being eligible to appear for the interview, they must not be more than 30 years of age while for Jr. Consultant- Field Operation (Gr-II) post, the upper age limit has been fixed at 28 years. For Jr. Technical Officer: Applicants must have passed Engineering with specialisation in Electronics and Communication / Mechanical/ Electronics /Instrumentation/ Electrical and Electronics / Computer Science and Information Technology with a first class from any recognised Institution or University. For Jr. Consultant- Field Operation (Gr-II): All applicants must have a 2-year diploma certificate from ITI (Industrial Training Institute) in the following trades – Electronic Mechanic/R & TV /Electrical and Fitter. How to apply for ECIL Recruitment 2018?